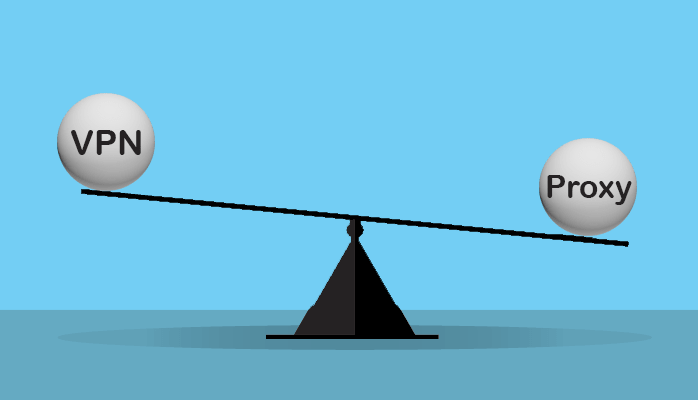 Are you seeking suggestions about choosing between a VPN and a Proxy server? People become too confused about these two services because they offer similar facilities and in recent time both services have achieved popularity. People are looking for a service that will help them to explore the cyber world without any barrier and also there is a risk of cybercrimes, so they need a service to get rid of this problem too. Eavesdropping of the government and ISP monitoring is also increasing to a great extent; now online users badly need a protective service like a VPN or a Proxy server. Though these two services have some functions in common, they are not same; I will make a comparison between VPN vs Proxy to clear all your dilemma. A Proxy server can be a computer or a service that will create a path to access remote sites or services without revealing your IP address. IP address or internet protocol can show your location, and you cannot hide your IP address without using a protective service. While your data packet leaves the network to connect to the destination server a Proxy server works as a middleman. Usually, home users utilize Proxy servers to download files, attachments or visit any website and so on. If you frequently visit any site, a Proxy server can make your online activity faster by saving a version of the website in its memory location. This service can also keep a website that hasn’t visited recently into its cache memory. That means when you will access the previously visited sites again the proxy will draw information from its memory to provide you faster access. In some websites, you will face restrictions while visiting its content like some USA websites do not allow citizens of other countries to watch or download their video contents. This restriction is called Geo-restriction which only allows the users of a specific country to access all the contents of a website or a service. You can bypass this type of filtering by using a proxy server and unblock your favorite movies, music videos, tutorials and many more. The opposite is also possible; you can use a proxy server to block any unwanted content. A proxy server conceals your IP address and provides a new one, and that’s the reason you can get rid of any Geo-restrictions. When you access any website the system will see the IP address of the proxy server instead of yours, suppose the proxy server you are using is located in the USA, so the website will see an IP address of the USA and will assume you are located in the USA. There are some countries which have strict censorship policies on the internet using. Like in China you cannot use apps or search engines that are operated by other countries such as the residents of China cannot use Google, YouTube, and even Facebook. However, with a proxy service, users can bypass the censorship issues in the same way they avoid the Geo-restrictions. Lots of people of the world using a proxy to safeguard their IP address and to unblock various content, but still a proxy cannot provide an up-to-the-mark service in case of online security. How Do The Proxy Servers work? You have to configure a proxy in your browser, and then it will create a gateway between your web browser and the sites you want to access. Suppose you are trying to visit any streaming site to watch videos so first your browser will send a message in the form of data packets and that goes through a proxy server and finally reaches the desired website with the information that you want to stream content. That means the proxy servers work as a third party to hide your real identity from the site and the snooping eyes over the internet. When you transmit data packets via the web it will not directly go to your desired website or service, first, the site will check your IP address and then allow you to load the page in a few seconds. You will understand this with an excellent example when you will type google in your browser search bar you will automatically get the google domain of your country. If you are a resident of UK, Google will check out your IP and quickly locate your country, and you will get the domain google.co.uk. However, you can alter your location on the internet by using a proxy server and only the proxy owner will able to see your actual IP address. So What is vpn? Virtual Private Network or VPN is a secure connection that will create a tunnel to pass your data packets through a tunnel anonymously and also encrypt the data.Any internet service provider can monitor all the online activities, and that can be very dangerous for us. Any internet service provider can monitor all the online activities, and that can be very dangerous for us. Not only the ISP, anyone who is monitoring the servers in which your data goes through will be able to track your activities. A VPN can provide full protection against this problem; it allows the data packet travel through a secure tunnel and in this case the ISP isn’t even able to track your activity because the tunnel conceals your data packet and pass it safely through all other servers. VPNs are mostly used by the corporate offices or international business organizations because it can create a private network for the whole office staff. With a VPN you can connect several offices to one network no matter where your workplace is. Suppose an international company has five branches and you find them in five different countries, the company can use a VPN network to keep a secure communication between all those offices. An employee doesn’t even need to be at the office; he can access the network from anywhere. People who travel a lot can use a VPN to avoid Geo-restrictions or to connect with their private office network easily. A VPN service will keep their sensitive files and information safe at a public hotspot, without a VPN its too easy for a hacker to break your security and collect all your bank information, password and so on. Just like a proxy, VPN hides your IP address, but it provides a lot more facility than a proxy server. The most valuable feature of a VPN server is the encryption, and it’s the main reason why people use a VPN service. First of all, you should know what the encryption means? In simple words to convert your data packets into unreadable text is called encryption. If somehow anyone managed to break your security and track your internet traffic, they would not be able to understand a single word. That means even if your government officers or ISP can monitor your activity they cannot read the message of your internet traffic passing through the web. If I want to describe the working process of a VPN service in simple words, I can say a VPN protects your data packets in three steps- Authentication, Tunneling, and Encryption. In Authentication stage first, the VPN encapsulates the internet traffic and then forward it to the next stage. It adds some headers and other stuff and covers the data packets inside of another packet to hide its identity. At Tunneling process, we can imagine that a VPN creates a secure tunnel to pass the information anonymously through the servers. This facility allows a point to point connection to reach your traffic to the destination server. That means your internet traffic will only pass through a tunnel instead of different servers and in that way snoopers won’t be able to monitor your activities online. Now comes the most important process - the encryption because your data packets are not fully secured only by providing a tunnel. Your identity can be traced with the information inside the data packets. The VPN services encrypt the internet traffic before it enters the tunnel so it will have double protection which is not so easy to break. There are numerous kinds of VPNs available in the market usually you will find two types of VPN services others are just subcategories. These two are Remote-access VPN & Site-to-Site VPN. With a Remote-access VPN, the user can access a private network which is far away from his location; this makes any official work more accessible by using the internet. Different organizations setup database in online or a connection network between several offices and the employees can easily enter those networks with required passwords. They need to install a VPN client software on their devices to access the company network. Remote-access VPNs are also used to bypass the Geo-restrictions, and most of the VPN companies sell this type of VPN services. You can separate the site-to-site VPN into two kinds, the intranet site-to-site VPN, and the Extranet site-to-site VPN. If the user wants to operate several private networks for only one company and create a secure communication between all these networks he can use the Intranet site-to-site VPN. This can be done by following some other ways, but it will be too costly. The Intranet site-to-site VPNs are usually used for share resources within private networks of a single company. If different companies want to work on the same project they need a secure connection over the internet among their networks, various companies used Extranet site-to-site VPN to create a safe communication among their private networks. I will compare a VPN and Proxy services in all aspects so that it will be easy to determine which one is suitable for you. a VPN will conceal your total web traffic, and also it will hide your IP address to mask your true identity. However, proxy servers only allow you an IP address of the different locations, it will hide your identity, but your online activity is still open to others. Third parties can easily snoop into your privacy. 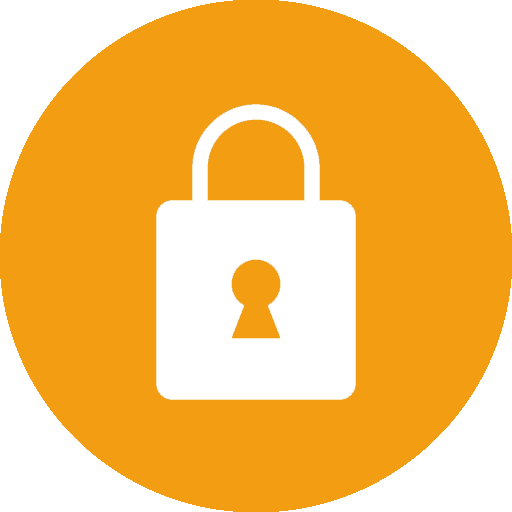 In case of Encryption, a VPN is a clear winner because it provides strong encryption to your web traffic with 128-bit or 256-bit secure encryption. Proxy servers do not provide any encryption like a free VPN service. If you get a paid proxy you won't find so many changes; a paid one is better than the free version still it will provide no encryption. 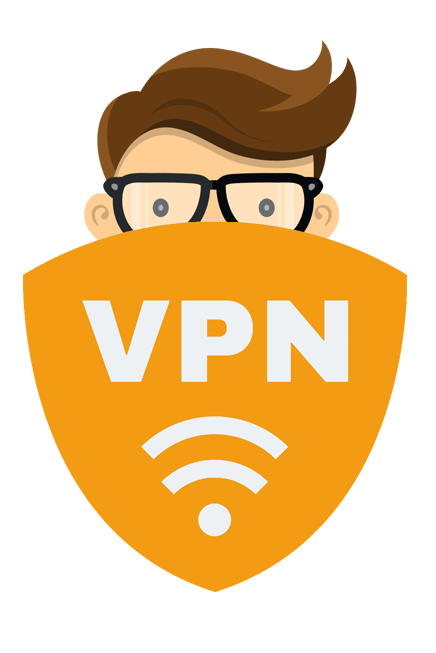 A VPN can offer you the ultimate privacy and freedom; you can watch or download whatever you want and also enjoy the full online protection since a VPN secures every web traffic as well as applications and other activities online. A Proxy won't be able to provide complete protection and freedom because it will secure only your browser traffic and just will work on your web browsers, so there is little scope to protect your activities. You can use a proxy for bypassing simple filters and restrictions which depends on your IP address; there are some other cases where a proxy won't work. If you are using a proxy or VPN service, the connection speed disturbs but with modern technology reputed VPN companies have come with a solution to optimize the speed. Some of the VPN services offer a speed test where you can choose a suitable lP address for you which will serve you with maximum speed and also there are a lot of solutions available to increase your connection speed while you are using a VPN. In case of Proxy, their server is always overloaded, and that’s why the connection speed is inferior. Whether you use a VPN or a Proxy, your original IP address and online activities are always open to the service providers. The popular VPNs claim that they do not keep any logs and offer anonymously paying options as well. When you use a free VPN, you don’t have to pay or give your other details, but the proxy provider can monitor your activity. VPNs provide a vast range of functions, and it’s more reliable than a proxy because with a VPN you can get the online security, freedom, and privacy all together at the same instant. Comparatively, proxies are not so reliable to provide you full stress-free online protection. If you want to judge the stability of the VPN services, then you will find a VPN connection interrupted sometimes, and your data leaks the tunnel which can be risky for you. Most of the VPN providers give a solution to this problem such as when you face this kind of disturbance your internet traffic will automatically stop leaving your device, so there will be no chance of leakage, and you can wait until the VPN established once again. Proxies have a great chance of crashing and frequent downtime, and they do not offer any specific solutions. You can configure VPNs in most of the devices and platforms; even it can be used in your router, gaming consoles. Some of the VPNs come with a cutting-edge technology where you will find amazing mobile apps which are user-friendly and loaded with excellent features. Proxies have poor compatibility since it can be configured only in some limited numbers of browsers. Installing VPN can be complicated for those who are not so tech savvy, however, once you complete installing it, there is nothing to worry. Operating a VPN is simple, and the functions are user-friendly. 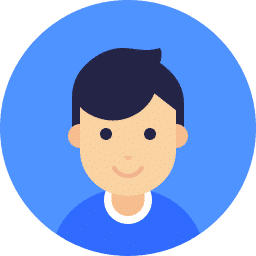 Installing a proxy is not so difficult, but you have to configure a proxy every time you visit a different website or service, and that’s a big hassle for the users. From the comparison, we can say that the VPN is a clear winner in all aspects of online security, freedom, and privacy. You can see that the VPN services are more advanced than the proxy servers and allow you to use the internet with more flexibility. If you are not interested in your privacy and still want to hide your IP to bypass some IP blockers, then you can go for the proxy servers since you can use them for free. But if you are concerned about your online privacy and want full protection from the cybercriminals, government surveillance and ISP monitoring then you must go for a VPN. These are some prime pros of VPN if you choose an excellent VPN service you can get far better service than all of these. I recommend that you should go for the VPN not for a proxy because online privacy and freedom is our right and we cannot just let anybody break into our privacy. We all should spend a little to get the best output we deserve. Want to Know More About VPN's ? SurfShark VPN Review :- Does It Really Worth Buying ? 1.1 How Do The Proxy Servers work? Copyright text 2018 by VPNCop.